EMS IN VEGAS FOR 2019 ISA SIGN EXPO! We'll be featuring sign industry extrusions and accessories as well as architectural products to help diversify your portfolio. Stop by and see how we can help with all things ALUMINUM! EMS & ENDECK will be set up at BOOTH #1858 for this year's Fencetech & METALFAb show on March 15-16, 2019 in Indianapolis! We are excited for our return trip to this week's MIAMI BOAT SHOW! (FEB 14-18) EMS and TIGRESS will be set up at BOOTH #C173 (Tent C). Come by and see what we can do for you! New facilities, relocation and expansions...EMS is starting 2019 off with a bang! Click here to view our press release! Our new 3D printer allows us to create prototype parts without having to use molds or dies. In just a few hours, we can accomplish what would typically take 8-16 weeks. Compatible with AutoCad and Solidworks programs, our 3D printer is capable of printing multiple parts at a time, infused with Fiberglass, Carbon Fiber or Kevlar. Giving our customers the ability to test critical dimensions and functionality with mating parts immediately is game changing. We are saving our customers critical time that ultimately translates into tremendous cost savings! We are excited to announce our partnership with Engineering Express! We now have a great deal of our product engineering available online. You can now visit our Engineering Channel to easily purchase engineering master sheets and site specific plans. For items not yet listed on their site, please see your sales representative for assistance. NEW SIGN EXTRUSIONS FROM EMS! We're awful proud to have Elvis Davis as a part of the EMS family. 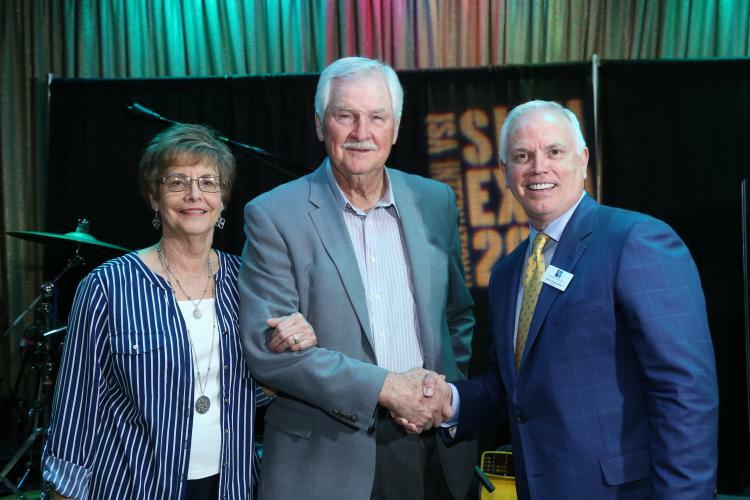 Congratulations to a dedicated, distinguished career in the sign industry! We're very fortunate to have you on board as a tremendous asset to our employees, customers and the sign industry. You can read the full article on the SIGNS OF THE TIMES website. 100% PVC DECKING FROM EMS & ENDECK! Eastern Metal Supply offers Woodland and Forest series Endeck dock boards & fascia for your customers who are looking for beautiful, top of the line, ultra-low maintenance docks and decks. These cool to the touch 100% capped cellular PVC Endeck Boards and Facias will never crack or splinter and, unlike composites, Endeck boards do not have organic fillers that will promote mold, mildew, and swelling. These boards are fade and slip resistant, UL listed, and the Woodland Series offers a Class A Flame Spread Rating. There is no need to pre-drill these boards, which makes installation a breeze with traditional or hidden fastener systems. Plus, all Endeck boards are reversible! Endeck boards are available for immediate shipment from EMS! We've substantially increased the levels of our inventory on Stainless Steel tubing for marine and other applications! EMS ARKANSAS IS NOW OPEN! We are proud to announce that our newest location is open for business! Located in Van Buren, AR, it's conveniently located between Tulsa & Little Rock. Call your sales representative today at 1-800-996-6061 for more information and find out how we can help you with all of your aluminum needs! NEW 12" INDUSTRIAL CHANNEL FASCIA! Give your customers the look they desire with less costs and labor! ASSA GETS A NEW LOOK! We are proud to unveil the new ASSA logo! We also welcome you to visit our website, featuring our hurricane products, news and information! We thank you for your continued support as we expand and improve the ASSA brand and line of products! It is our mission to bring you high quality, innovative hurricane protection products! EMS NOW OPEN IN OHIO! Our newest addition in the Midwest is our 27,000 sq. ft. warehouse in the Stowe/Akron, OH area. We can now deliver on our own trucks to all of Ohio as well as Southern Michigan, Western Pennsylvania, NW New York and N West Virginia. NEW WELDING ROD & WIRE FROM EMS! We're looking for some great new team members at just about all of our locations across the country. Click the pic to have a look! 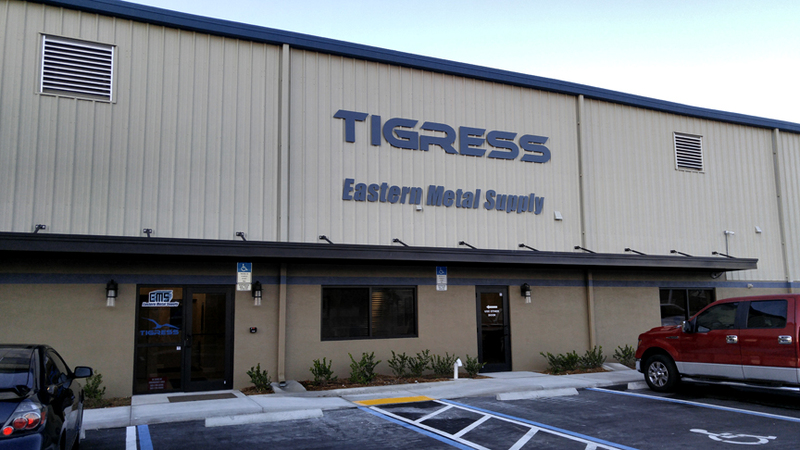 NEW LAKE WORTH LOCATION FOR TIGRESS! We're happy to announce the new Lake Worth facility is up and running! Click the image above to visit the Tigress website and let us help you get ready for your next adventure! • Click for the Gutter Fascia Extender line card! We've added yet another option to our architectural product offerings - a new Gutter Fascia Extender! Slots for Mounting Tabs in the top and bottom sign frame make mounting easier and faster. 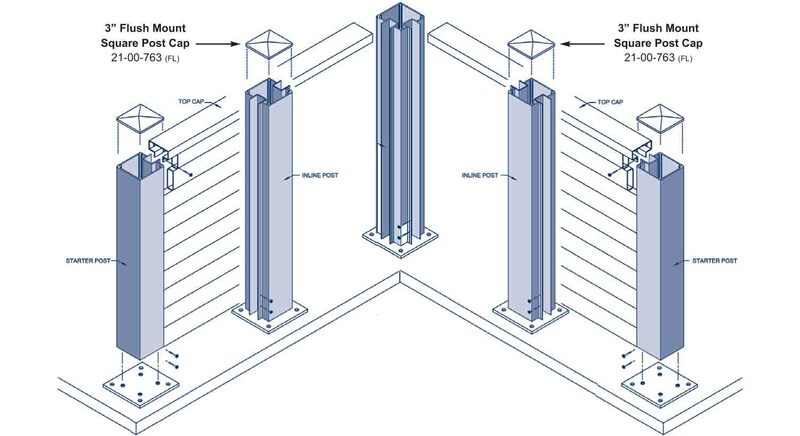 Exclusively designed for a perfect fit with the EMS Rolling Gate Track extrusion. Never machine another rod assembly in order to make a truck assembly fit! View the features & benefits here. There are additional shows that we may be attending as well. As always, if you have any questions please ask your sales representative for more information!